My name is Ernest Bauer, and I am a Louisiana train and truck accident and personal injury attorney serving the needs of clients in Covington and throughout the surrounding region in Louisiana. 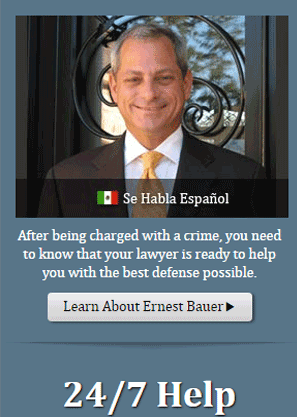 I can help you by taking on the Tough Cases. Call Today. Pay Nothing Unless We Win. 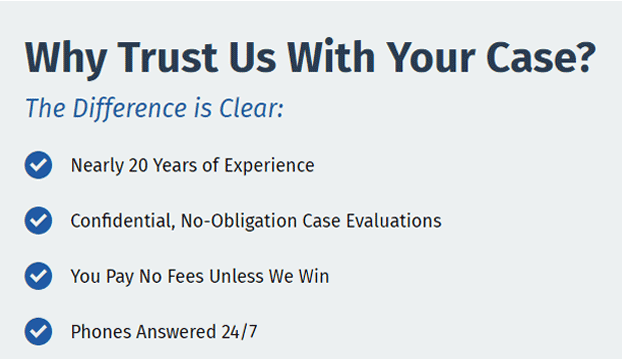 Free Case Evaluation. Get the Help You Need. If you or a beloved one have been subjected to nursing home abuse, instantly contact a dedicated LA nursing home abuse attorney today to discuss compensation for harm or losses endured. Based on a latest report from the U.S. Department of Health and Human Services, it is estimated that six million people live in long-term care facilities, which all of us refer to as nursing facilities. Additionally, research indicates that as much as one-4th of all Americans may need a nursing home at any time in their life. With the boom in the aging population comes a frightening fact; namely the episodes of nursing home abuse and neglect have increased with the magnitude of our aging population. In cases of abuse, certain instances may warrant criminal prosecution, while in others litigation can be more appropriate. A civil lawsuit is brought by a plaintiff who seeks to hold the defendant accountable for damages sustained because of harm or losses endured. and failure to monitor the resident. In such situations, it is advised that you talk with an experienced LA nursing home abuse attorney, who can assist you to determine the appropriate course of legal action. While representing you in court, an attorney can function as an informational guide through the procedure. This is the reason why selecting a lawyer with expertise is crucial. Having somebody who has gone throughout the trial procedure before might help alleviate some of your stress because your case is in the hands of somebody who knows what they’re doing. Types of Nursing Home Abuse -By acting, you’re making it known to the nursing home that misconduct has occurred. You’re also taking measures to make sure your well-being, and the that of the other residents who reside at the home, is being given due consideration. A nursing home abuse attorney may assist you with this task. She or he may even provide you with an assessment of your case and answer any questions you can have. That may consist of basic questions like what constitutes nursing home abuse, and what if a sufferer, or their family members, look for if they dread such abuse has happened. Problems of nursing home abuse and neglect may include several forms of abuse, from physical to financial. This could include things like marks, scars, or lumps and injuries like sprains, fractures, and bone fractures. Injuries might indicate your precious one is being abused by the people accountable for their safety. In a great deal of cases, psychological abuse can be as harmful as physical abuse. Seniors who are berated, insulted, or demeaned by nursing home staff have fallen prey to emotional abuse. Did you know that having an older person of social stimulation could have detrimental implications? Extended periods of isolation and seclusion can cause depression, anxiety, or a shortened lifespan. Financial abuse is an increasingly common form of nursing home victimization is found in abuse. This is when personal things or invaluable info, like cash or banking account info, are taken without the sufferer ’s consent or under duress. A LA nursing home abuse attorney can assist you to investigate this frequently hard-to-prove form of abuse. Sexual assault usually involves abuse perpetuated by nursing home staffers, even though it can involve other citizens in the home or visitors. Occasionally, abuse is an act of omission, or the failure to supply the proper quality of care. The term “neglect” can signify that your precious one isn’t on a regular basis fed or taken out of bed, or he or she is left with unattended personal hygiene needs. Neglect can be equally as injurious — and deadly — as physical abuse. Wrongful death can occur for any number of reasons in a nursing home setting. The most frequent causes are out of abuse or neglect of a nursing home medical professional. Each case is distinctive based upon the facts and conditions of that person case. Whenever anyone believes he/she’s the victim of nursing home abuse, that individual or that person &risqué household should contact an attorney to investigate. Wrongful death can occur for any number of reasons in a nursing home setting. The most frequent causes are from abuse or neglect of a nursing home medical professional. Each case is identifying based upon the facts and conditions of that person case. Whenever anyone believes he is the victim of nursing home abuse, that person or that person’s household needs to contact an experienced attorney to investigate the claim. The attorney will assist determine whether there’s actionable abuse. A wrongful death claim is initiated from the personal representative of the real estate of the decadent on behalf of the decadent’s next of kin. To establish liability of a wrongful death claim resulting from nursing home abuse in Covington the personal representative of the estate of the deceased must prove, from the proponents of the proof, that the care offered by the nursing home fell below that of the National Standard necessary and that the breach of the standard of care resulted in the death of the deceased. The overall health condition of the decadent, before to his death, is critical in assessing a wrongful death case. Any resident of a nursing home likely has some issues which are different from any abuse or neglect. Consequently, a proper investigation must be done into the actual reason for death and a definite theory of accountability must be established so that no other medical factors cloud the matter. Based on a study released in the year 2001 from the minority employees (Democrats and Independents) of the Special Investigations Divisions of the House Government Reform Committee, 30 percent of nursing centers in the US — over 5,000 centers — were mentioned for nearly 9,000 instances of abuse by January of 1999 through January of 2001. Neither you nor a cherished one must need to be exposed to any one of the kinds of abuse. Furthermore, there’s no reason to let such conduct or to allow others to become a casualty of the identical sort of abuse that you’ve endured. To make sure that your rights and your physical, emotional, and mental well-being are protected, you need to examine your case to the local authorities and you need to instantly contact a lawyer who is experienced in pursuing nursing home abuse claims in your jurisdiction. A Louisiana nursing home abuse attorney can help you, or your cherished one, determine if you’ve a legal claim. If this is the case, he or she will seek compensation and work to ensure that those accountable for the abuse are held to answer due to their deplorable actions.